Prowl is an easy push notifications client iOS. Push to your device notifications from your Mac or Windows computer, or from a multitude of apps and services. Easily integrate the Prowl API into your applications. The only limit of what the service can do is your imagination. • Any program or web service using the public API. 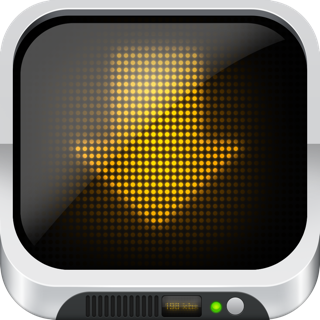 "[A] powerful tool to connect your Mac with your iPhone, seamlessly over the air. • Push Notifications—When a Growl notification pops up on your computer, it's sent to Prowl and displayed on your iOS device within seconds. 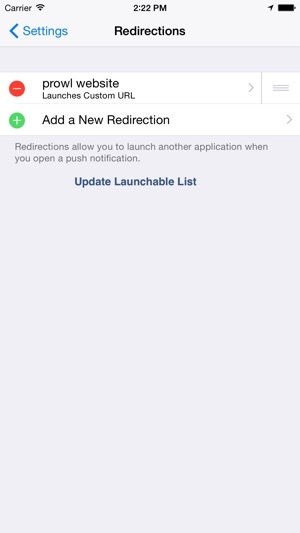 • Redirections—Launch a different application when you open a push notification. For example, a notification from your desktop Twitter client can relaunch into your favorite mobile client. You can even pick custom URLs to launch, so you can go anywhere! • Email to push—Use your Prowl email address (from the Prowl homepage's "API keys" tab) to get email delivery right on your device. Generate as many email addresses as you need! • An amazing API—Use the Prowl API with a multitude of libraries in various programming languages. You can send notifications from anything that can talk to the internet, and do some fun things along with it. 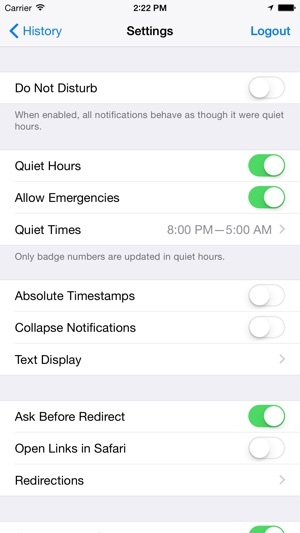 • Quiet Hours—During the hours you specify, only the badge numbers are updated. No matter the source. Instead of getting a noisy alert, messages are quietly delivered. You can allow emergency-priority items to break quiet hours. • Do Not Disturb—Keep the application quiet whenever you're busy, or when you need a break from a constant alert. Controllable from within the application. • Control—Open the edit view to get a quick glance at your notifications, and do away with pesky ones. 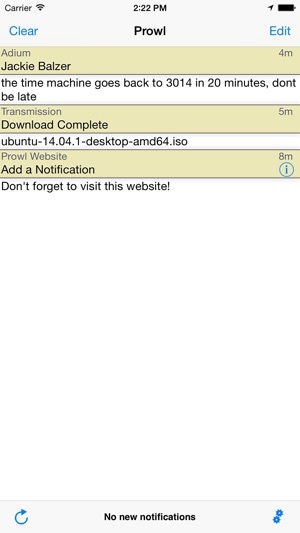 Quickly copy, email or SMS a notification directly from Prowl (depending on device and iOS version). • Browse quickly—Use Prowl's internal browser to quickly open links from a notification without having to open Safari. • History—Up to 10 days of notifications are kept on the server. You can delete notifications that you don't want to see any more, or remove all of your history. • Customized notifications—Only events you want are sent to Prowl. You can specify all kinds of conditions from the Prowl plugin for Growl. 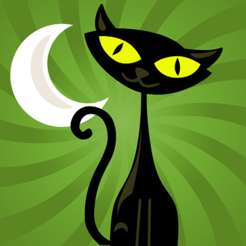 • Send any message to your device—From the Prowl website, you can send any text to your device: links and phone numbers are automatically linked, so you can easily navigate around without having to worry about typos. From the website or API, you can also automatically redirect to the attached URL. Prowl is built into Growl 2.0. For earlier versions: http://prowlapp.com/installation.php — for Mac. - Improves support for split view and slide over mode on iPad where available. - Fixes redirects on iOS 9 not working correctly. Not very often do you find an app that does what it says "easily". I think it's better for a developer to assume the person using it has no or some knowledge of computers but, not assume that the person knows everything. In theory this is a great app but, on the surface it's convaluted mess. 1. There should be a simple server you can download on your Mac/PC to get notifications sent to your iPhone and, not have to pay for a seperate app. 2. The whole API system is not simple. I know of APIs but, don't have the clearest grasp of what it actually is. So, forcing someone to enter API keys is not the best way to go about things. 3. If you want to use it with your browser that's another download. Two stars because it still works, but 3 off because of lack of development. Who knows if this has a future. I use this app to redirect specific email selected by AppleMail rules to an email address provided by Prowl. This pushes the email to the Prowl app on my iPhone and notifies me by sound/vibration on my iPhone and AppleWatch. It was drop-dead simple to set up, and Prowl provides as many email addresses as you need. I’m using this to replace similar functionality of Boxcar, which has disappeared from the App Store. Do note that Prowl is much more capable than what I’m using it for.